BANFF, AB, February 1, 2019 — Banff Centre for Arts and Creativity is thrilled to announce the appointment of the Gryphon Trio as Directors Designate of Classical Music Summer Programs beginning in 2019-20. 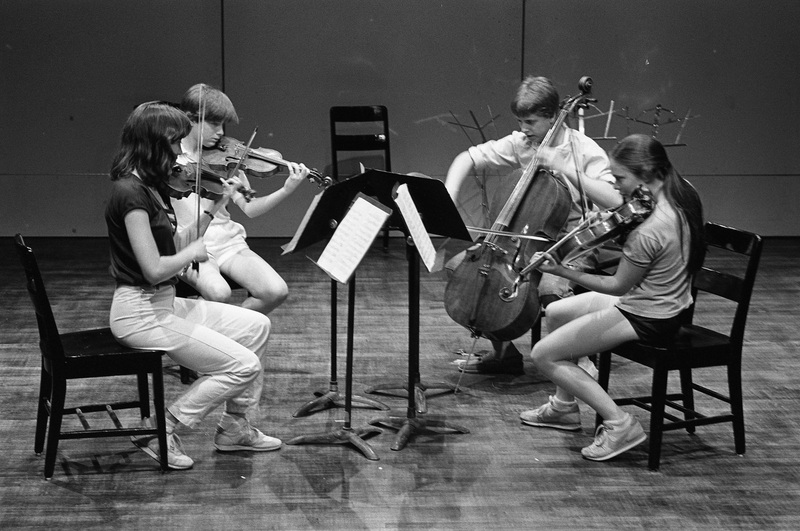 The Trio, comprised of Annalee Patipatanakoon (violin), Roman Borys (cello), and James Parker (piano), first met at Banff Centre as summer music students in the 1980s. Thirty years later, they will take on full leadership of Classical Music Summer Programs at the close of the 2019 summer season following the successful completion of the three year tenure of Co-Artistic Directors Claire Chase and Steven Schick. The Gryphon Trio’s first full season of education, performance, and audience engagement at Banff Centre will begin during the summer of 2020. “The Gryphon Trio is a Canadian success story. 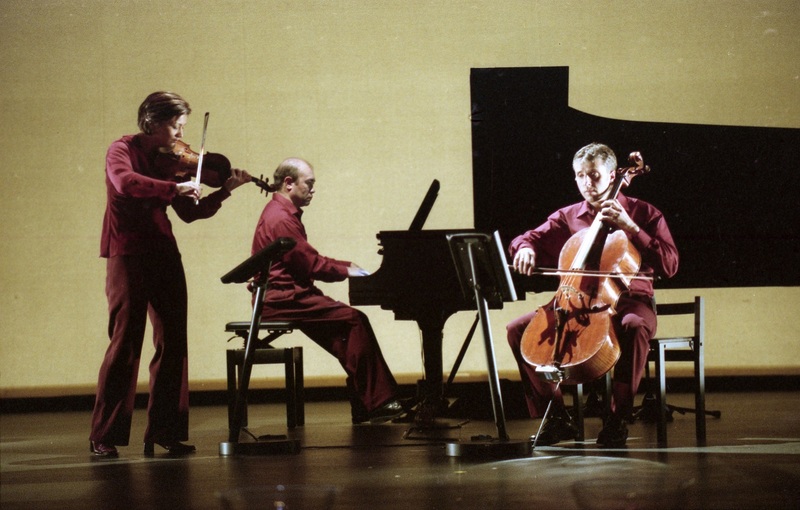 The ensemble has impressed international audiences with their dynamic performances, and has firmly established their reputation as one of the world’s leading piano trios. Not only are they great musicians but also great teachers, all serving as artists-in-residence at the University of Toronto. They’ve also played a leadership role in the transformation of Ottawa Chamberfest from a festival presenter to a year-round arts organization. We are excited to see what they will achieve at Banff Centre,” said Janice Price, President and CEO of Banff Centre. The Gryphon Trio has made a major impact on the cultural life of Canada. Borys will continue to serve as Artistic and Executive Director of Ottawa Chamberfest, the most successful Chamber Music Festival in North America with more than 100,000 audience visits each year. The Banff Centre appointment will help build cultural bridges between major arts organizations across the country including Banff Centre for Arts and Creativity, Ottawa Chamberfest, and the music program at the University of Toronto. “Our goal at Banff Centre is to develop the next generation of cultural leaders. The Gryphon Trio will inspire our participants through education and performance to succeed as creative entrepreneurs not only in Canada but internationally. We want to share the success the Gryphon Trio has achieved at Ottawa Chamberfest and at the University of Toronto with participants at Banff Centre,” said Howard R. Jang, Vice President of Arts and Leadership at Banff Centre. “Banff Centre is a cornerstone of our careers. We met at Banff, as summer students in the 1980s, and have since taught, recorded, and performed there. As we continued to evolve as an ensemble, Banff Centre provided the inspiration and support that we needed to realize our most ambitious projects. Annalee, Jamie, and I are now very excited to pay it forward. We consider it a great honour to assume the leadership of Classical Music Summer Programs in 2020. A very special homecoming, this appointment inspires us to conceive programs that nurture vision, fuel passion, and allow classical music program participants to build on the strengths of the past with the skills and perspectives required to engage audiences in the future. We follow in a long sequence of artists and mentors whose leadership has defined Banff Centre in remarkable ways and look forward to initiating a new chapter in our relationship with the storied arts school,” said Roman Borys, on behalf of the Gryphon Trio. Named after a mythical creature known since classical antiquity as the guardian of treasure, the Gryphon Trio was formed in 1993 with the artistic vision of honouring the past while building the future of classical music. The Gryphon Trio continues to impress international audiences with repertoire that explores traditional to contemporary, European classicism to modern-day multimedia. The Trio has released more than 20 recordings on the Analekta, Naxos, and Ondine labels featuring a comprehensive cross-section of core classical and contemporary works. In addition, the Trio has commissioned and premiered more than 85 new works by contemporary composers. Their illustrious catalogue of work has received top honours including two Juno Awards for Classical Album of the Year, and the prestigious 2013 Walter Carsen Prize for Excellence in the Performing Arts from the Canada Council. 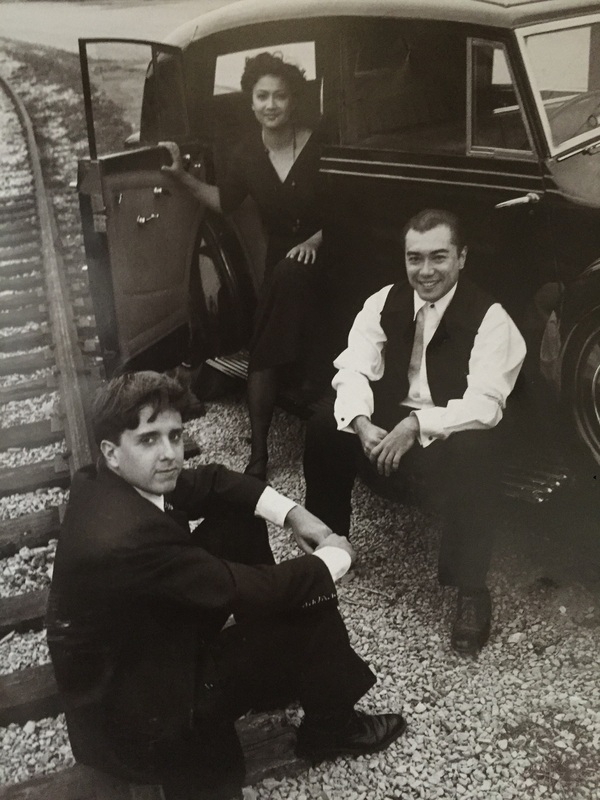 Patipatanakoon, Borys, and Parker all met at Banff Centre as music students in the 1980s. With their appointment at Banff Centre, the members of the Gryphon Trio enjoy a full circle moment, as they bring their vision, pedagogy, and leadership to Banff — continuing Banff Centre’s legacy as a centre for excellence in classical music education, creation, performance, and audience engagement. Building on the success of Claire Chase and Steven Schick, two of North America’s most innovative artists, Banff Centre will continue to produce Evolution of the String Quartet, a cutting edge educational program in 2020. For the final season of their tenure in 2019, Claire Chase and Steven Schick will continue their commitment to performance and study with innovative master classes and world class concerts. Their contributions will add to the richness and legacy of the Summer Music program at Banff Centre with 6 newly commissioned works this summer. Banff Centre is Canada’s leading post graduate arts and leadership training institute, and attracts nearly 4,000 artists and leaders to its campus in the beautiful Canadian Rockies every year to learn and create new works of art. Situated on Treaty 7 territory, the Centre offers more than 120 courses each year in multi-disciplinary arts and leadership training, and presents more than 400 shows featuring cutting edge works from both Canadian and international artists. More than 75,000 artists have trained, created or performed at Banff Centre since 1933. About Banff Centre for Arts and Creativity: Founded in 1933, Banff Centre for Arts and Creativity is a learning organization built upon an extraordinary legacy of excellence in artistic and creative development. What started as a single course in drama has grown to become a global organization leading in arts, culture, and creativity across dozens of disciplines. From our home in the stunning Canadian Rocky Mountains, Banff Centre for Arts and Creativity aims to inspire everyone who attends our campus – artists, leaders, and thinkers – to unleash their creative potential and realize their unique contribution to society through cross-disciplinary learning opportunities, world-class performances, and public outreach. Roman Borys on cello at Banff Centre for Arts and Creativity, 1984. Courtesy Banff Centre Archives. Annalee Patipatanakoon, Roman Borys, and Jamie Parker in Constantinople at Banff Centre for Arts and Creativity, 2004. Courtesy Banff Centre Archives. Gryphon Trio on the road, courtesy the artists.